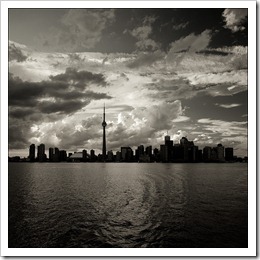 If you’re interested in the Cloud Computing and would like to get an a good idea of what Cloud Providers there are out there (I’d suggest Windows Azure) and how people are Architecting their Cloud Applications, Cloud Camp Toronto is the place for you. Be sure to Register for the Event and I look forward to seeing you there! Earlier today, I caused some commotion on twitter when it was announced that Ray Ozzie has stepped down as Microsoft’s Chief Software Architect (CSA). It’s not hard for a message which is constrained to 140 characters or less to create such controversy especially when keywords are taking out of context. The keyword in this such tweet was innovation. Obviously, if you review my blog and look at all of my posts on Windows Azure and SQL Azure you can’t contest that Ozzie did an excellent job at an incredibly hard task of choosing a winning team for Microsoft’s venture into Cloud Computing. Windows Azure is a great success and creates a rather unique offering for .NET and Open Source Developers for a fully integrated cloud solution. Other than Windows Azure, Ozzie was responsible for FUSE Labs which is supposed to be an outlet for Innovation. Out of which came Kodu which is basically a simple game level builder, which could be compared to level builders such as the ones shipped with the original version of Star Craft. Last but not least is Windows Live Sync, a cross platform synchronization tool. I’m sure you don’t need me to tell you the different types of synchronization tools have been developed over the years. I’m sure Ozzie may have had his hand in other things in Microsoft over the past 5 years, I have outlined three achievements, none of which are truly innovative per say. Innovation aside, I am glad that Ray Ozzie has stepped down, with the success of Windows Azure in the past 2 years, it is great to see Ozzie leave on a high note. 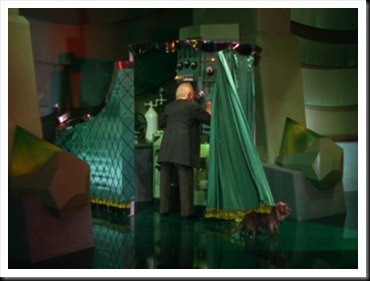 “Cloud Computing” is a Buzz word… Servers are still “The Man behind the Curtain”. With Microsoft’s release of Windows Azure and moving towards a future of Cloud Computing, I’ve been waiting to hear what is to be done in the Market of Gaming, more specifically the Community Contributions using the XNA Framework. Up until XNA version 3.0 Microsoft’s plan was to keep Community Content as a Closed faced application that wouldn’t be able to communicate with the outside world. XNA 3.0 delivered Xbox Live integration into Community Games, allowing hobbyist developers the ability to make their creations multiplayer. With the Resent release of XNA 4.0, which falls after the Release of the Cloud, I was hopeful to find some sort of Cloud Applicable use for community developers. XNA 4.0 did however bridge a recent gap that would have been introduced with the Release of the Windows Phone. With the number of Gaming platforms that are being introduced it would be beneficial to tie them together with the Cloud. Lets close our eyes and dream for a moment. Recently, I’ve downloaded a new game from the Xbox Live Marketplace, and I’ve become fairly addicted to this game as it allows me to be creative, as well it is extremely educational [Hey, it’s a dream right?]. I’ve been playing this game all morning but have to meet a friend of mine across town, but I’m about to reach Virtual Nirvana. I open up the save menu, and there is an option to save to a Cloud Drive. I don’t really understand what this is at the time, but think sure why not? I leave my house and head for the bus stop. As I wait for the bus I get a bit bored and pull out my Windows Phone, and go browsing through my games. I’ve downloaded my favourite game but am disappointed as I won’t be able to continue on from where I left off. I launch the Game, and it reports to me that there has been a recent game session saved to a Cloud Drive that is associated with my Xbox Live ID. The bus finally arrives, I step on the Bus and reach my seat. Looking down at my phone I realize that my game has loaded up to the exact place in which I saved it before I had left the house. Once I arrive at my destination I save the game before exiting the bus. I stop into my friends house, he tells me he’s found this amazing game for the PC on Xbox Live. Wouldn’t you know, it’s the same game that I’ve been playing all day. Wanting to impress my friend I show him that I can load up my session by logging into my Xbox Live Account. If saving to a Cloud disk seems a little far fetched [There would be a lot of security folk at my neck for even suggesting it], it could re-introduce the Latter match back into games, like PC games back in the early 90’s. Saving information from gaming sessions out to a SQL Azure database to offer a bit more than most community run games. I would really enjoy to see content being able to be delivered for an in game experience, however that opens up a large number of security talks, especially with the ability for Media Extenders to expand the content onto a PC. I have a game idea which would benefit from fresh content being delivered from a Web Service to be injected into game play. Currently the only way to expand a game would be to create game add-ons in which Gamers could download and attach to your game, but I am still searching to find if this ability is enabled for Community Developers using XNA. If you haven’t tried out Developing for Windows, Xbox 360, Zune, or would like the jump on Developing for the Windows Phone. Check out the XNA Game Studio 4.0 CTP. Microsoft has also released a full tool set for developers that are specifically interested in Developing for the Windows Phone. As many of you in the .NET world should be aware, yesterday (April 12th, 2010) was the launch of the next generation of development tool, Visual Studio 2010. Launched along side .NET 4.0, Visual Studio does not limit the development to it’s side kick framework. 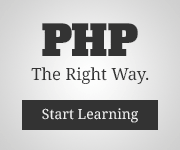 You have the ability to Develop against any of the .NET Framework releases. In the spirit of “The early bird gets the worm” I would like to put my two sense in for enhancements for the next version of the Visual Studio IDE, or minor adjustments into the first Service Pack. Yeah, I know what you’re going to say, Cory, “Visual Studio has been backing up projects for Migration since Visual Studio 2005.” I do realize this, and you’ll probably notice also that backups are still being handled in the same way they were in Visual Studio 2005. When you install Visual Studio on your machine you’ll notice that under your “My Documents” folder there is a folder for each release of Visual Studio you have installed on your machine. When you open a project from the “Projects” folder of a previous release of Visual Studio in a newer version of the IDE, the backup files are added to a folder that gets generated in the same folder of your current project. It is typical to run concurrent installations of your development tools just incase you run into something that doesn’t quite in the newer version [Read my next feature for an example]. This will cause some controversy, and maybe perceived as somewhat short sighted as not everyone leaves the projects in the Visual Studio “Projects” folders. With that said, I believe that the original solution folder should remain unchanged. The controversy this will cause is those who do not believe in data replication, but today’s IT industry doesn’t seem to be worried about “Throwing hardware at it”. Leaving the original solution in tact allows for a fail proof backup of the project (which really should be in source code control anyway). The existing project is then recreated in the “Projects” folder for the Current Version of Visual Studio. Since Visual Studio 2008, Microsoft has been focusing on a targeting system within Visual Studio in order to enable their Developers to use the version of the .net framework that is needed for the requirements of the Project [as well as enabling the correct intellisense for the framework that is selected]. With the addition of Database manipulation within Visual Studio Projects it has created another Versioning Issue with the toolsets for database support in visual studio. The first of which that comes to mind is SQL Server Integration Services (SSIS). Recently, I’ve been working on a project that is using SSIS to migrate data from a MySQL database to a MSSQL database. I went to convert the SSIS project to a Visual Studio 2010 Project this morning, and much to my dismay the .proj file was converted, but none of the files were upgraded or viewable in Visual Studio 2010. If a database targeting system could be put into place like the framework selection to avoid issues such as these and allowing developers to keep one installation of Visual Studio on their machine that will handle all tasks with ease, it would be greatly beneficial. I’m very excited to have a new IDE that supports many of the features that developers have needed for a long time. Kudo’s to the Visual Studio Product team for the release of an exquisite Development suite. I look forward to seeing the Innovation in the tools market provided by the built in Extensions Gallery and to many more great IDE’s coming out from Microsoft in the future. Oh Hungry? Oh Oh Oh, OData! Today Microsoft announced the Open Data Protocol [Read more at odata.org] at the MIX Conference. The Open Data Protocol is an extension of the ATOMPub format. The OData Information can be can be represented in ATOM or JSON Format. The Open Data Protocol complements the new SQL Azure Platform nicely, allowing developers of popular website development languages expose data to their applications with ease. Today’s Keynote at Mix showed the web development world that Microsoft has enabled “Checkbox Driven Development” as SQL Azure allows you to expose an OData representation of your Data with a few simple clicks of a Checkbox, and a series of Drop Down Lists. Of course the term “Checkbox Driven Development” is a joking term by Speaker Doug Purdy, this Solution is a streamlined process, but there is still a lot of work to be done to consume the exposed OData Source. Microsoft’s Codename “Dallas” uses the OData Protocol to expose the Data as a Service Information. If you want more information about Codename “Dallas” please refer to one of my previous posts named “Synchronizing a Local Database with the Cloud using SQL Azure Sync Framework”.